Art, landscape, history and culture. The Borgia Route leads us along the trail of one of the most powerful families of the Renaissance. The Borgia gained worldwide renown when Alfons de Borgia Calixtus III became pope followed later by his nephew Roderic de Borgia Alexander VI. 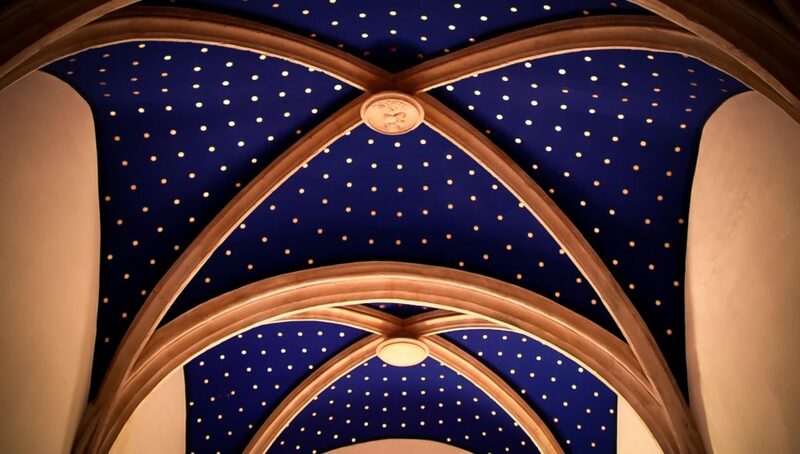 The Route traces the Borgia’s legacy of art and architecture across Valencian lands. 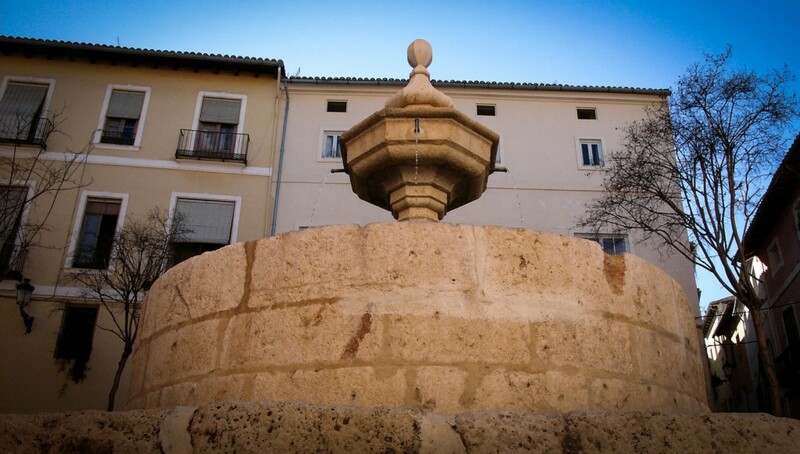 Xàtiva, the cradle of the Borgia, is an unmissable stop of this exciting itinerary. Undoubtedly, one of the best ways to learn about historical figures is to visit their home towns. 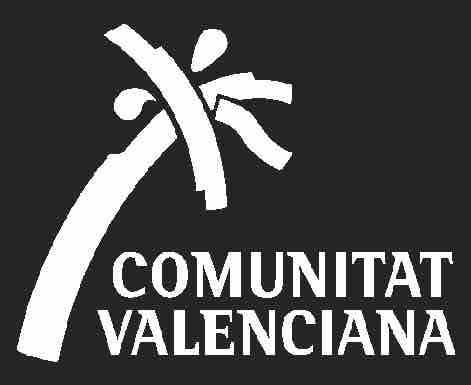 Xátiva is unique in this sense. The Borgia were a family of knights until the mid-fourteenth century. But as from the War of the Union, they exercised municipal magistracies, acquired dominions and thus strengthened their economic position. The family resided in the city’s urban centre, which at the time stretched over a large territory dotted with gentry-owned farmhouses, including la Torreta which belonged to the Borgia. Located 6 km away from Xàtiva, now in the municipality of Canals, it is known as Borgia Tower, where Pope Calixtus III was born. The notable family lived in 1378 in a house on Alexander VI square, In Xativa’s old town centre, where Roderic de Borgia, the future pope, was born. The house was renovated in the sixteenth century and the door’s stone voussoir archway has been preserved. In medieval times, the square was even known as Borgia Square. 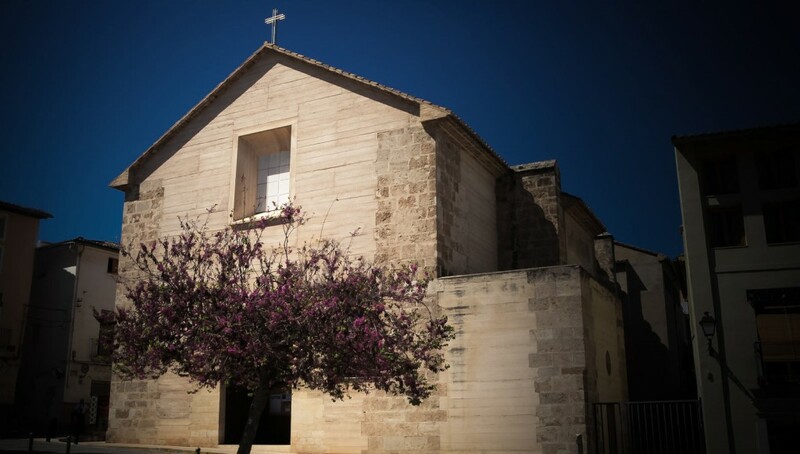 Like all the town’s families of nobles and knights, the richest branch of the Borgia decided to erect a funeral chapel: the church of Sant Francesc convent was chosen, located at the beginning of the stately Montacada street. It was built during the second half of the fourteenth century in a Gothic Cistercian style, and consists of a single nave with seven side chapels. In the fourteenth century, they also established the Royal Monastery of Santa Clara, a very large construction declared of Cultural Interest. 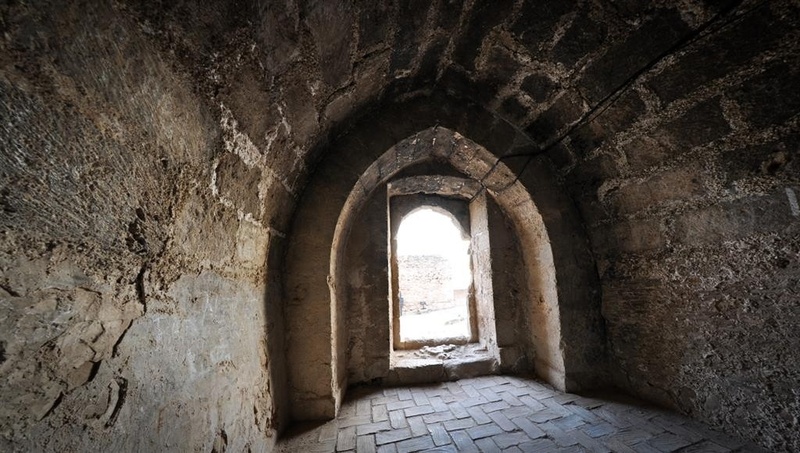 Built in a Gothic style, it underwent further renovations between the fourteenth and seventeenth centuries and was the richest and most luxurious building in the city. Beatriz de Borgia held the position of abbess there. Santa Clara was originally a monastery of Poor Clare nuns, built following the testamentary disposition of Saurina d’Entença, widow of Roger de Lauria. Fortunately, the building has recently passed into the hands of the municipality: it is now part of the city’s heritage and can be visited. Alfons de Borgia, acting in his position of cardinal, ordered the construction of the family chapel inside the Collegiate of Xàtiva. The chapel was demolished in the 18th century. 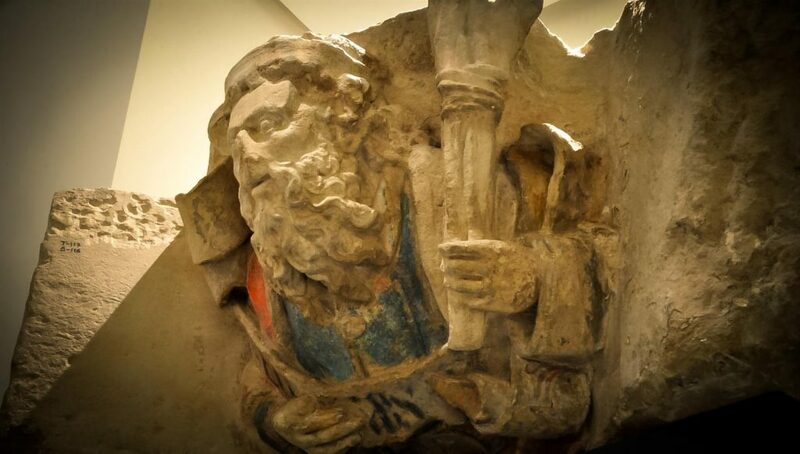 The Museum of Fine Arts preserves beautiful remains of the flamboyant Gothic building, such as the keystone and angel corbel supporting the Borgia coat of arms, the family’s mythical grazing bull emblem. Undoubtedly however, the Borgia’s richest artistic heritage can be found in the Museum of the Seu, guarded on the main facade by the bronze sculptures of both Borgia pontiffs. 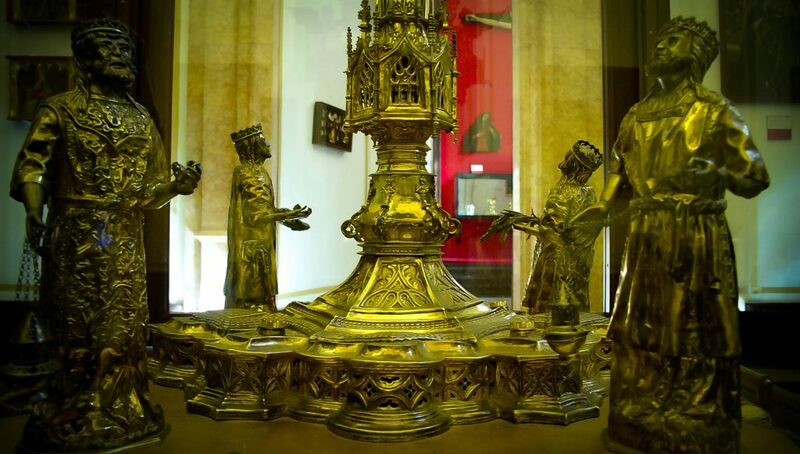 The Collegiate Museum houses the large monstrance, given by the Catholic Monarchs to Pope Alexander VI, the chalice of Calixtus III, a gold Gothic workpiece, and the altarpiece of Santa Anna, commissioned by the first Borgia Pope for the family chapel and attributed to the Valencian painter Pere Reixac, a follower of Jacomart. 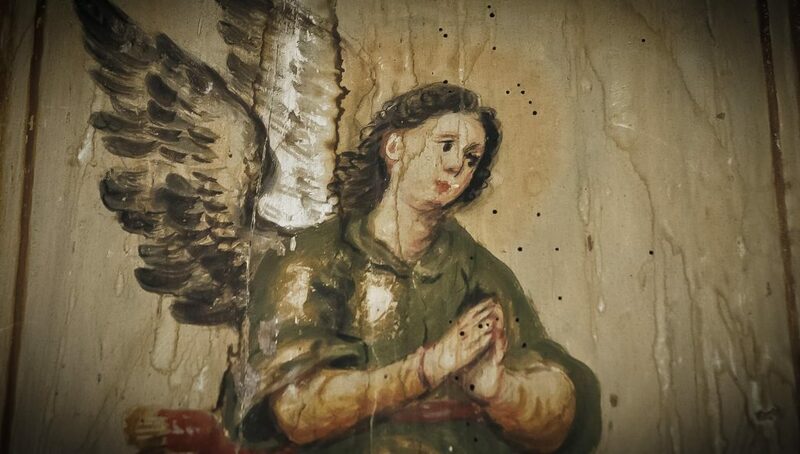 The five preserved panels of this beautiful altarpiece are a hallmark of Gothic painting. The Archdeacon Palace, built in the fifteenth century, is also related to the Borgia family. This building was the seat of the Archdeacon of the Collegiate, a position traditionally held by a canon of Valencia Cathedral. The coat of arms of Callixtus III, and two other of the family’s coats of arms can be seen on the stone archway above the door. The hermitage of Santa Anna is another enchanting place with links to the Borgia. It towers over the Saint Anne hill on the outskirts of the city. This flamboyant Gothic monument was erected by Pope Alexander VI; it offers staggering panoramic views of Xàtiva and el Castell. Santa Anna was originally a fortified enclosure but only the hermitage has survived. 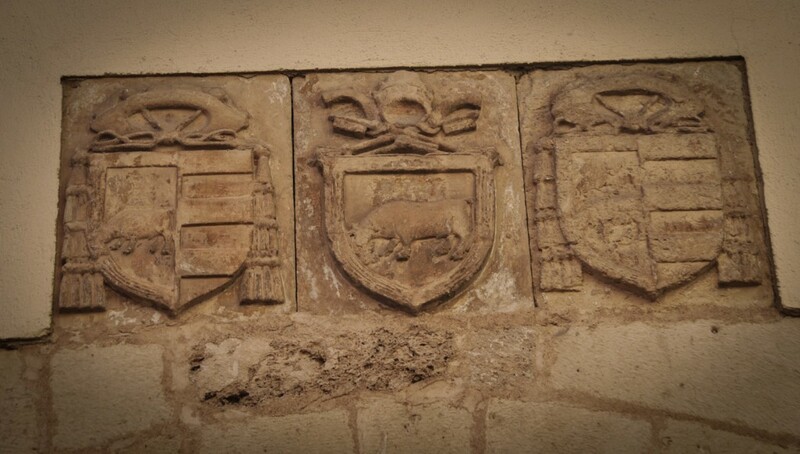 Gothic decoration is concentrated in the keystones that highlight the Borgia family’s coat of arms. It can be visited by following the path to Santa Anna’s Baths, a traditional place of pilgrimage of the neighbouring town of Llosa de Ranes. At the end of the 14th century the Borgia had the funeral chapel in this church. There they were buried Catalina de Borgia, sister of Calixto III, the grandparents of Roderic de Borgia and other relatives. In 1470, the remains were transferred to the Collegiate Church. Convent building of Gothic and Baroque styles built in the fourteenth century of which was abbot Beatriz de Borgia. They emphasize the key of vault and the corbel of the angel, that maintains the shield of the outstanding family, beautiful rest of the chapel that the Pope Calixto III did build in the Seu. Its museum houses bulls and valuable artistic treasures of the Borgia. Outstanding are the altarpiece of Santa Anna or the chalice of Calixto III, a beautiful piece of Gothic goldwork, which was given to the Collegiate by the pope. It belonged to the Borgia for several generations. According to testimonies of the time, Alejandro VI was born in the current left mezzanine. Example of the so-called Gothic of conquest, diffused by the mendicant orders. Roderic de Borgia (Alexander VI) was baptized here in 1432. Constructed in the 15th century, the Borgias’ Palace was the Colegiata archdeacon’s seat, with the Borgia coat of arms still visible above the noble arched doorway. Flamboyant Gothic style, was erected by Cardinal Rodrigo de Borgia in 1456. Located on the top of the hill of the same name, offers extraordinary views of Xativa and the Castle. Diego de Borgia, brother of San Francisco de Borgia in the 16th century, was imprisoned and executed in the spectacular fortress. He was accused of a murder framed in the rivalries between nobiliary bands of the time. The tower is the only visible remnant of the old Borgia family palace, where Alfons de Borgia (Calixto III) was born.